A team lead by Cornell University researchers are using the Titan Supercomputer at Oak Ridge National Laboratory to study mechanisms of sodium-powered transporters in cell-to-cell communications. Harel Weinstein’s lab at the Weill Cornell Medical College of Cornell University have constructed complex 3D molecular models of a specific family of neurotransmitter transporters called neurotransmitter sodium symporters (NSS) and simulated their actions and interactions using the NVIDIA Tesla-accelerated supercomputer. These models will help uncover potential strategies for treating behaviors such as addiction, depression, and disease-related mutations associated with disorders of the NSS proteins. To maximize the use of their time on Titan, the researchers used the molecular dynamics application ACEMD, a highly optimized molecular dynamics software built for GPUs. 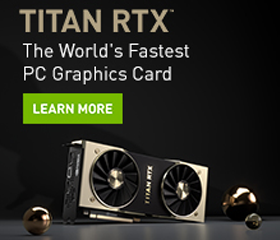 “Titan gave us a very large number of GPUs, which we could run for a very long time. Without this, our project just couldn’t work,” Weinstein said.